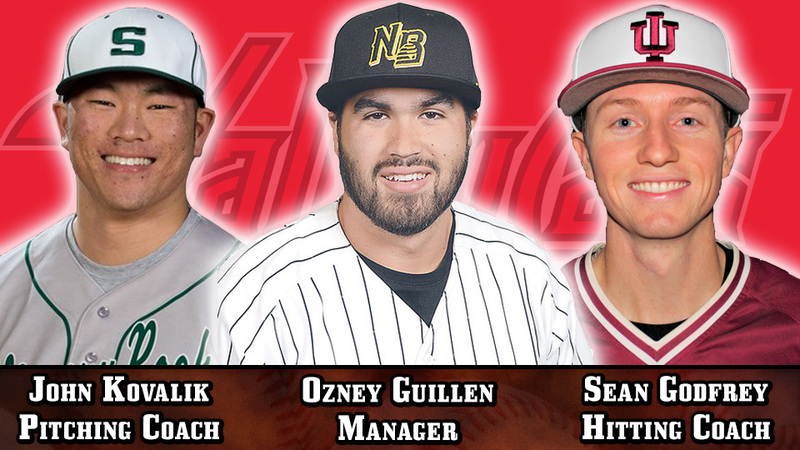 TROY, NY - The Houston Astros announced their 2019 minor league coaching staffs on Thursday, and have assigned Ozney Guillen to serve as the next ValleyCats manager. John Kovalik joins his staff as pitching coach, and Sean Godfrey as hitting coach. All three are new to the Astros organization, and will be spending their first year with the ValleyCats. Ozney Guillen, the youngest son of former Chicago White Sox manager Ozzie Guillen, becomes the 10th manager in ValleyCats history. Guillen takes over for Jason Bell, who has been promoted to fundamentals coordinator for the Astros. Bell led the ValleyCats to a 42-33 record in 2018, en route to their third New York-Penn League title. A 27-year-old native of Miami, Florida, Guillen just wrapped up a five year professional playing career in the Independent Leagues and Venezuelan Winter League. He spent the 2018 season with the Ottawa Champions of the Can-Am League, as well as with the New Britain Bees of the Atlantic League. Guillen was selected by the White Sox in the 22nd round of the 2010 MLB Draft as a senior at Monsignor Edward Pace High School in Miami Gardens, but opted to further his education. He went on to attend Miami-Dade College and Saint Thomas University in Miami, where he continued his collegiate baseball career. John Kovalik spent the last two years as the pitching coach at Slippery Rock University in Pennsylvania, during which his pitching staff compiled a combined record of 57-39 (.594). A 26-year-old native of Aurora, Ohio, Kovalik is a 2014 graduate of Slippery Rock, for which he was a standout pitcher himself. During his playing career at SRU, Kovalik was a two-time All-Conference honoree, and was named to the National Collegiate Baseball Writers Association of America's All-Atlantic Region team as a junior in 2013. Sean Godfrey , a native of New Albany, Indiana, joins the ValleyCats following a stint as hitting coach at Indiana Southeast University. Godfrey was drafted in the 22nd round of the 2014 MLB Draft by the Atlanta Braves, and recently wrapped up his professional playing career. He played four seasons in the Braves minor league system and one season in Independent ball for the Schaumburg Boomers. Godfrey was a Division-I All-American at Ball State University, and was named the 2014 MAC Player of the Year. The 'Cats home opener is set for Sunday, June 16 vs. the Staten Island Yankees. Season tickets, mini plans and flex vouchers for the ValleyCats' 2019 season are currently available for purchase online, or by calling 518-629-CATS. The ValleyCats are also taking reservations for groups of 20 or more, and individual tickets are set to go on sale March 28, MLB's Opening Day.